Discussion in 'Transformers News and Rumors' started by Sol Fury, May 6, 2018. I wish the clear plastic was smokey clear plastic like the original. I'd have loved to see how Takara would have done PotP if they still did their own thing. In robot mode, I think I like the new toy better, although I do wish it had the 'wings' like the original. But I like the old toy for the dinosaur mode. The G1 version really puts these things to shame. Why didn't they make the dino body wing out? That's such a big part of the character! Just got mine on Friday. My only gripe is I wish he was bigger (my gripe with all of the Dinobots save for Grimmy and even he could stand to be slightly taller) but other than that, I'm happy with him. I have Grimlock, Slag, and Swoop. Three down, two to go. 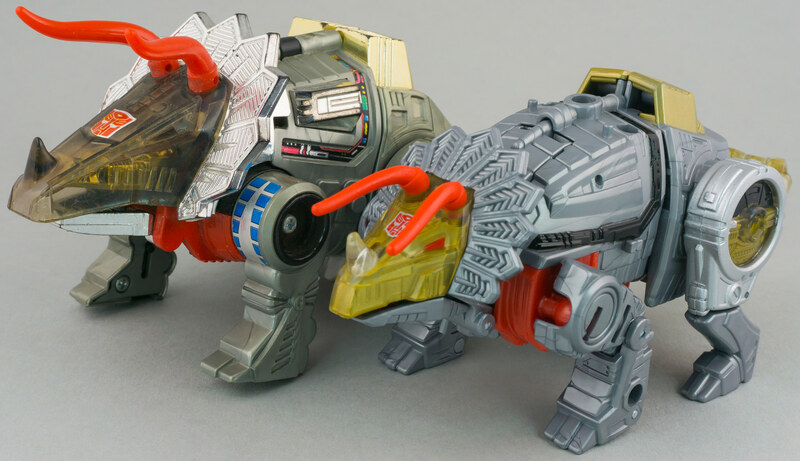 Given how big they made Predaking, I kinda wish they'd made Grimlock more of a Voyager/ultra so that at least two of the others could have been voyagers (Sludge and Snarl and enforced legs) with Slug and Swoop as arms. 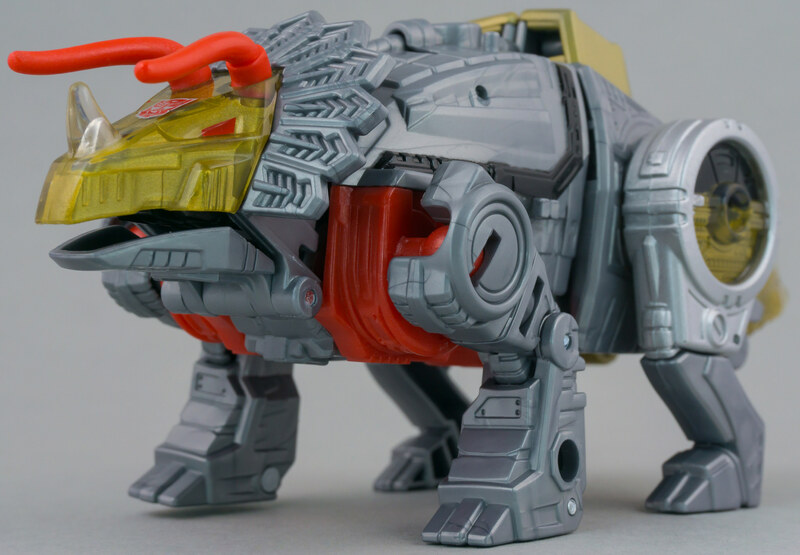 I guess they kept the same size patterns so that the Dinobots could combine with the combiner figures but this is one case where they probably should've made the Dinos exclusive to themselves. Face looks like a Slag that just woke up. The Dinobots are being remolded into other teams. First we got Cutthroat from Swoop, then I think we are getting Dinoforce sometime later. How will he wield the power? By changing his name back to Slag ofcourse, what else?! 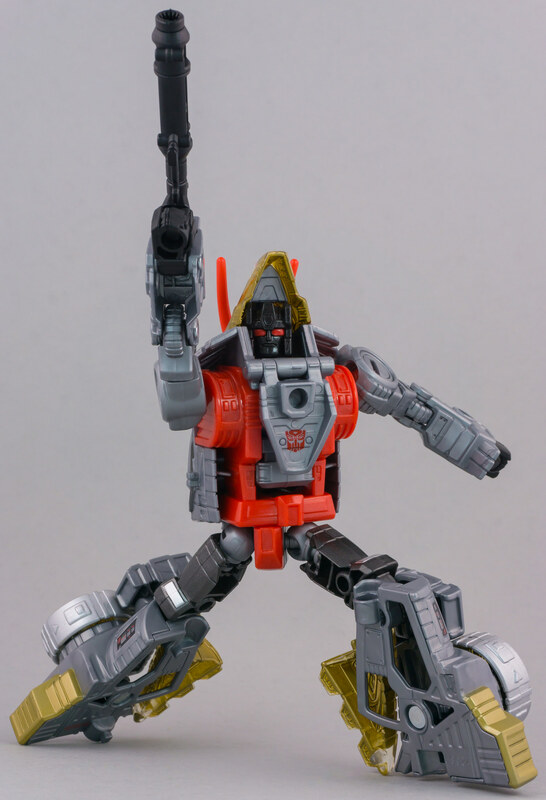 I love the updated DINOBOTS, but I know that I would have been willing to pay Voyager prices for each of limbs and Leader Price for Grimlock to get them bigger. Looking back at the G1 versions they weren't huge, but they do miss that DINO-UMPH in my opinion. Not a huge fan of the combined mode, but I love how they look in DINO mode all together. I think this was the first complete team I ever owned from G1, except the Insecticons. He'll always be Slag to me. stony waste matter separated from metals during the smelting or refining of ore.
similar material produced by a volcano; scoria. I keep trying to stick with Slug and it just won't stick (as evidenced by my comment above which features both Slug and Slag). Slag fits the character on top of it's been 30 friggin' years. It's like trying to say Ocktone when for most of my life it's Oktane. That said, I get why they did the change, I just don't agree with them doing it. 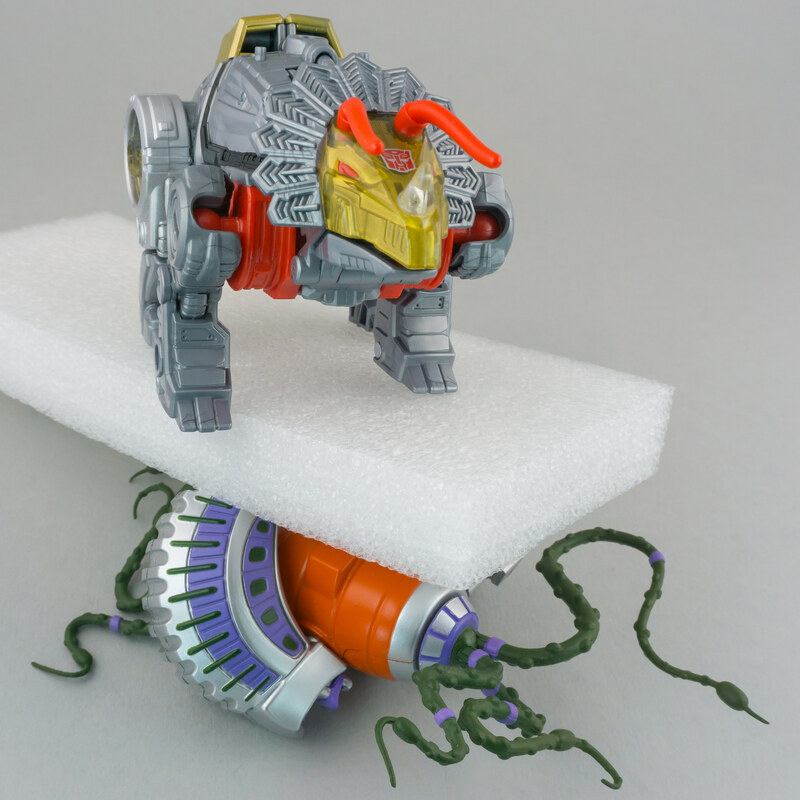 Damn, and I *just* saw a few Grimlock's on Ebay for decent prices. I'll keep a look out. It's crazy what they're going for right now (leader fig prices for a voyager...sheesh). Exactly! I’m trying to find one for retail not for scalper’s prices. It should be a $25 figure. Not $40.